HIGH NOTES AVANTE inspires, gives hope and connects those touched by mental illness through artistic expression. We are proud to have been awarded “Best Creative Innovation” at Richmond Hill’s Economic Development Committee’s 7th Creative symposium. 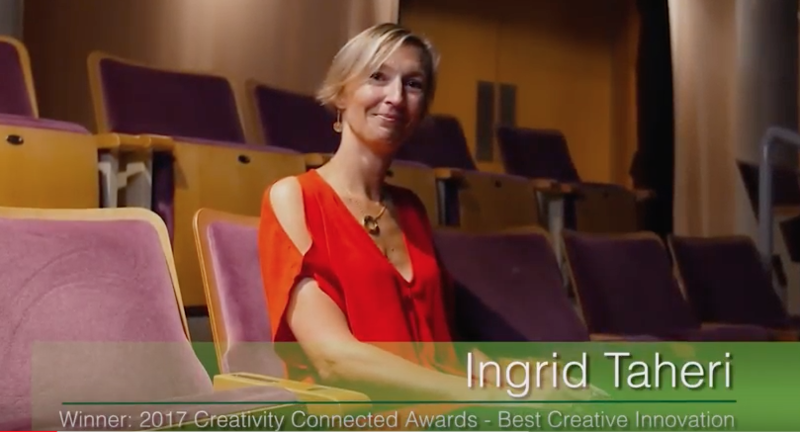 Please CLICK HERE to watch the short video with our Artistic & Executive Director, Ingrid Taheri, speaking about our charity. Music and words have the power to create social change, inspire, empower and give hope to those touched by mental illness. Our ‘image raising’ events feature world class performances and speakers, and showcase the lives and talents of artists and personalities who are living good lives despite having an existing or past mental health challenge. We aim to erase stigma, educate, create community and save lives by encouraging others to reach out and also share their stories. Mental illness is nothing to be ashamed of. If 1 in 5 people are affected and we all know someone who suffers, we should show the same compassion and respect for those affected by mental illness as for those affected by physical illness. Our events are therapeutic for those affected and an eye opener for the community at large. We invite you to get involved because WE ALL HAVE A (mental health) STORY. Check back often and like us on Facebook for more regular updates and press releases as they become available. April 4, 2019 Dan Hill will headline this mini gala performance called “THESE ARE THEIR STORIES” at the Richmond Hill Centre for Performing Arts. Also with Luba Goy and Erika Nielsen. May 16, 2019 Andrea Pringle, a HNA board member, musician and music teacher, invites you to join her at COSMO Music and “drum for mental health” at this drumming circle. Musicians and non-musicians alike can benefit from the positives vibes going far beyond this event. We are presenting these concerts/events thanks to small municipal grants from the Town of Richmond Hill and the City of Markham. Please consider supporting us with a donation as well.